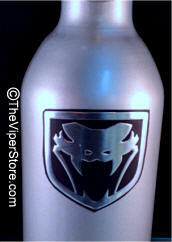 with Viper (2004-2006) Logo Sticker included. 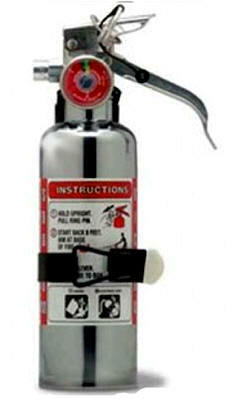 Universal Automotive Chrome Fire Extinguisher. 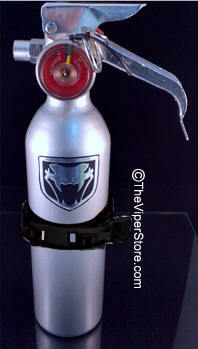 Approximate size is 10" high and 2.5" in diameter. Size may vary. Weighs 2.1 pounds. 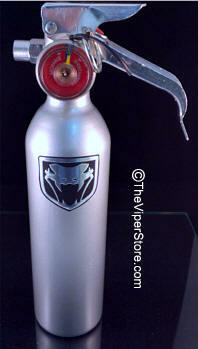 Universal Automotive Metallic Silver Fire Extinguisher with raised 'Polished Finish Stainless Steel' Viper "Fangs" Logo attached. What an impression this makes! 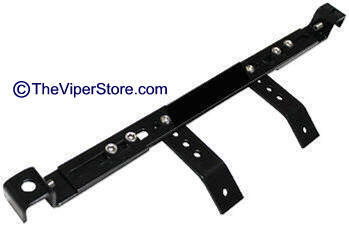 Approximate size is 10" high and 2.1" in diameter. Size may vary. 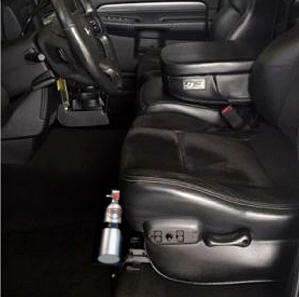 IH-FEB-VIPER-0310 Dodge RAM SRT10 Adjustable Interior Fire Extinguisher Mount.